Official copies of your high school transcript (Foreign high school transcripts will need to be submitted to NAIA InCred for a basic evaluation) If you have completed 30 or more transferable credit hours at a college/university, a high school transcript is not required. Money on Deposit - A deposit of funds at the University to cover tuition and fees for an international student for at least one semester. Currently the amount is $5226.36. I-20 FORM: The I-20 form required by the Department of Homeland Security, is issued upon receipt of a completed application, health form, official transcripts, notarized statement of support and money on deposit. 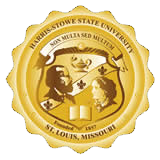 Harris-Stowe State University will begin processing the request for acceptance after all items have been received by the Office of Admissions.